Mediterranean integration continues to be recognized as a public good for the region and for the world. - Great potential: The Mediterranean region offers a large young population, abundant renewable energy, promising economic and political transitions, and strategic positioning as a crossroads between Europe, Africa and the East, among other assets. Unlocking this potential through vectors of integration across countries would have significant positive ripple effects in the region and worldwide. - Turmoil, instability and environmental challenges: Conflicts in the Middle East and North Africa (MENA), and even increased violent extremism in some enclaves, contribute to forced displacements and instability. On the socioeconomic front, slow economic growth and accentuated social inequalities translate into a lack of job opportunities, especially for the youth. In addition, climate change is affecting the region disproportionally, further aggravating existing challenges, such as water scarcity, while also creating opportunities to transition to lower carbon energy sources. Socioeconomic transformation, improved resilience, and climate change mitigation would have positive spillovers in the region and beyond. - Reduced labor mobility: From all perspectives of Mediterranean Integration, including trade and capital flows, labor mobility is the least advanced: migration policies have often focused on controlling migration flows rather than encouraging a solid mobility framework for the region. Meanwhile irregular migration flows continue to create tension between both rims of the Mediterranean and additional security challenges. Policy and institutional reforms to stimulate labor mobility (regularized movements of workers) and job mobility (outsourcing and offshoring), while controlling irregular migration, would be conducive to growth and development, further contributing to advance Mediterranean integration. 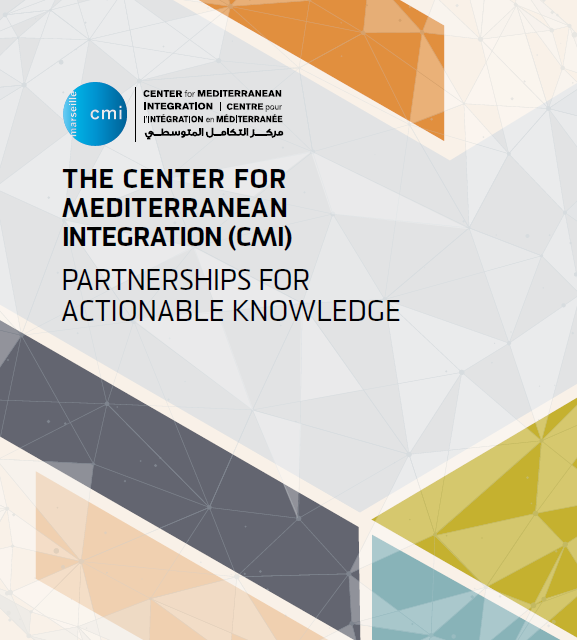 The Center for Mediterranean Integration (CMI) is a multi-partner knowledge exchange platform where development agencies, Governments, local authorities and civil society from around the Mediterranean convene in order to exchange ideas, discuss public policies, and identify regional solutions to address key regional challenges in the Mediterranean. Members of the CMI include Egypt, France, Greece, Italy, Jordan, Lebanon, Morocco, Palestinian Authority, Tunisia, the Provence-Alpes-Côte d'Azur (Sud) Region of France, the City of Marseille, the European Investment Bank and the World Bank Group, with the European External Action Service (EEAS) as an observer. The CMI was founded in 2009 and operates on 3-year mandates. The mandate period July 2018-June 2021, constitutes the Center’s 4th mandate. 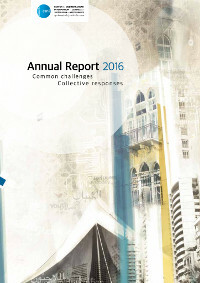 By acting as a knowledge sharing center that links ideas to operations and reforms on the ground, the CMI benefits from the technical support of the World Bank and complements the work of the European Commission, the Union for the Mediterranean, and the European Investment Bank, as well as Mediterranean research institutes, think tanks and other regional partners. - CMI promotes Mediterranean integration for development and reduced disparities between member countries. 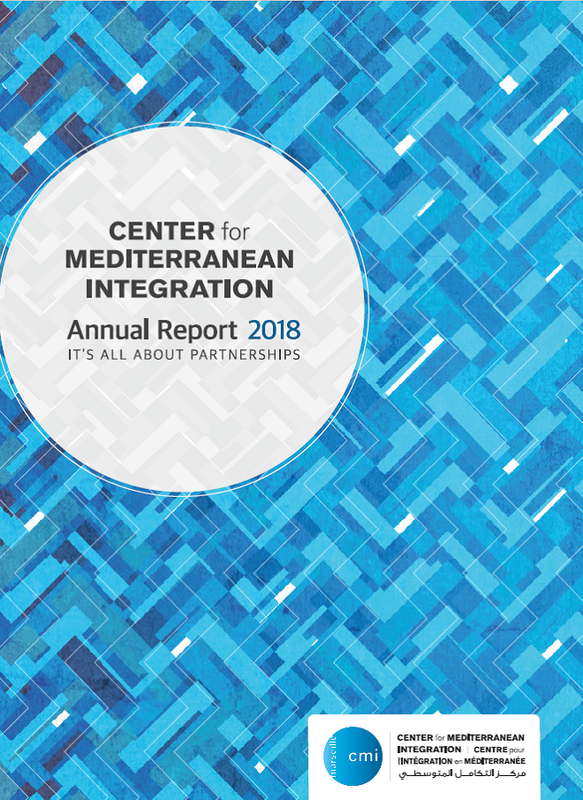 - CMI is the only Mediterranean institution bringing together governments, international financial institutions, local authorities and civil society. - CMI fosters synergies between development lenders, governments, partners and citizens. - CMI leverages technical expertise, financial resources and networks. - CMI promotes regional scaling-up of successful experiences at the local, country and regional level. - Governance: Members jointly decide on strategic orientations and actions. - Financing: in addition to the financing provided by the World Bank, a Multi-Donor Trust Fund gathers contributions from members and partners; additional in-kind contributions are given by members and partners in connection with specific activities. - Staffing: The CMI team currently includes staff from the World Bank (WB), the French Development Agency (AFD), and the German Federal Agency for International Cooperation (GIZ) and collaborates with staff in other members and partners. 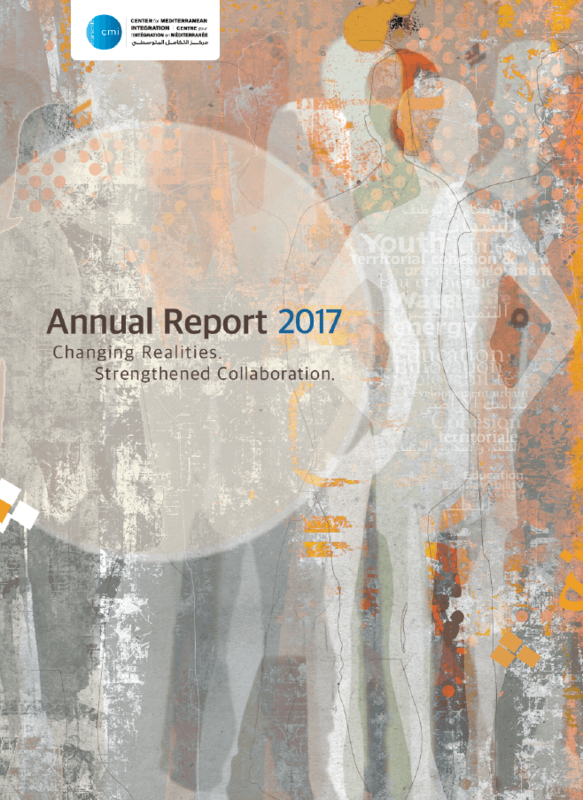 - Business Lines: Analytical work, publications, knowledge and learning, and capacity building activities are all multi-partner. - Actionable Knowledge: Thematic hubs and communities of practice generate common frameworks and peer-to-peer learning, which reinforce capacities and influence decision-making. For its fourth phase, the CMI adopted a new strategy. 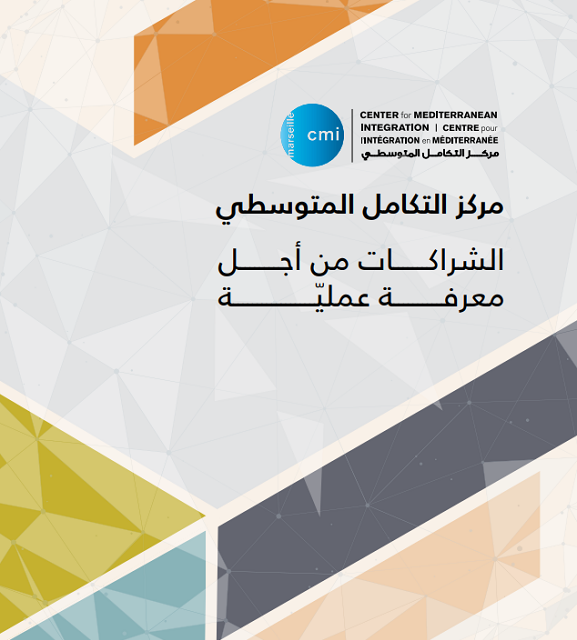 During 2018-2021, the CMI will focus on providing technical depth and links to policy reforms, playing a highly influential role through the expertise and technical rigor it brings to Mediterranean dialogue. At the same time, CMI will build synergies among Mediterranean stakeholders (governments, funding institutions, private entrepreneurs, civil society, etc. ), in order to have a transformational impact on the region. - Pursuing long term interrelated goals of Creating Economic Opportunities, Promoting Inclusiveness, and Empowering the Population. - Addressing acute emergencies facing the region in terms of Migration, Labor Mobility and Forced Displacement. The CMI’s actions will revolve around five business lines: knowledge exchanges; technical communities of practice and hubs; analytical and advisory products; incubation of projects; and targeted capacity building.